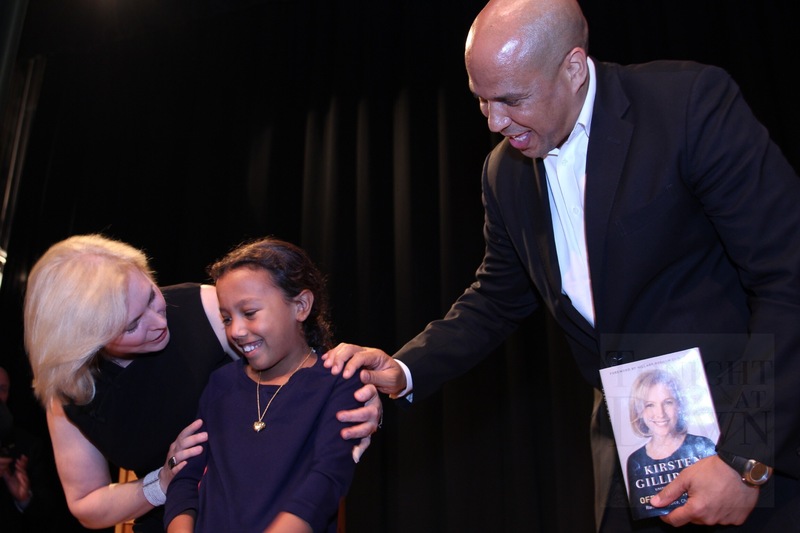 Senator Cory Booker was at home in New Jersey yesterday to discuss Senator Kirsten Gillibrand’s memoir, Off the Sidelines: Raise Your Voice, Change the World, with her at Montclair High School. 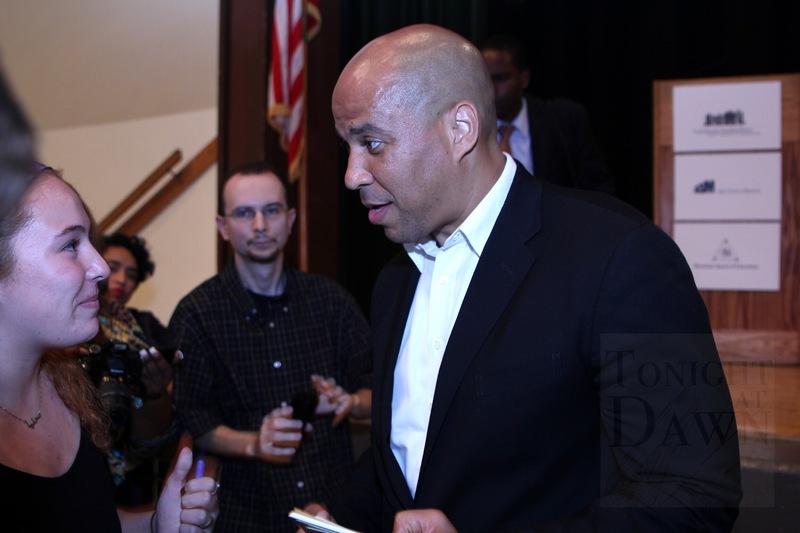 Within a few minutes, Senator Booker had dismounted the stage to engage with his constituents. He patiently took photos, shook hands and spoke with people who had the foresight to stay after the event had reached its conclusion. 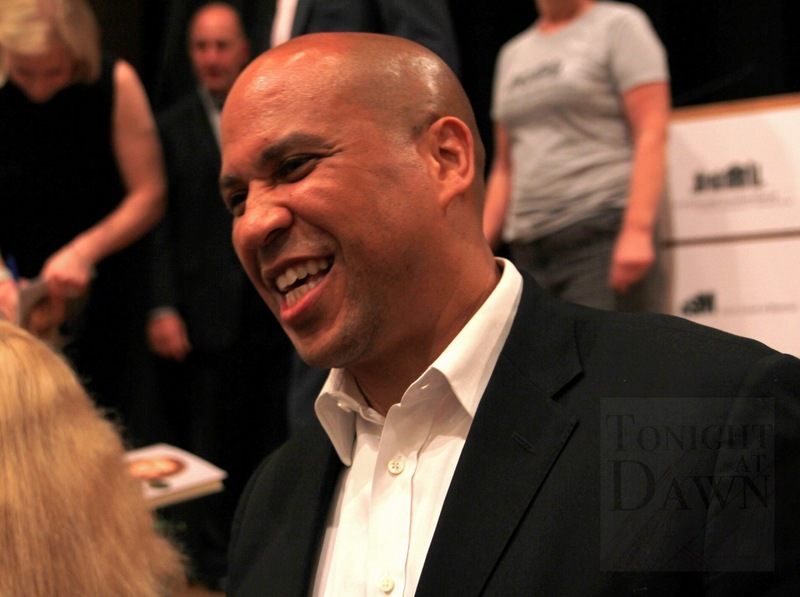 Cory Booker truly seems to wish to listen to folks. He eagerly directed a high school student who invited him to a special club event to speak to a staff member, welcomed a woman to his campaign who wanted to garner the Asian-American vote for him and listened to people’s concerns. 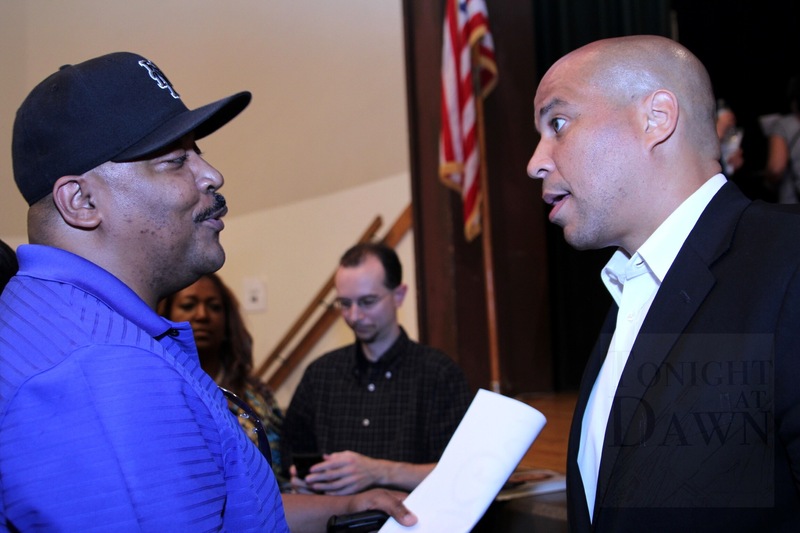 I felt comfortable in approaching Senator Booker; I told him that I have been following him since he was mayor of Newark. As he did with everyone, he showed earnest as I spoke. He thanked me for having written a piece about justice reform and agreed that either him or one of his staffers would interview with me on the issue. 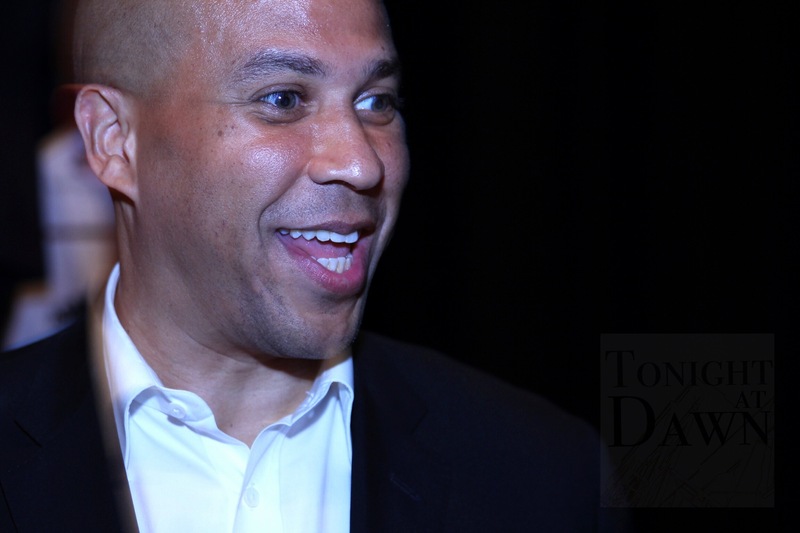 Booker’s staff was also friendly and I am looking forward to the possible opportunity to interview him or his staff about justice reform to add to our series.